All accommodations are cleaned on a daily basis. The Perrakis family has a long tradition of hospitality, and the accommodations have many regular guests. 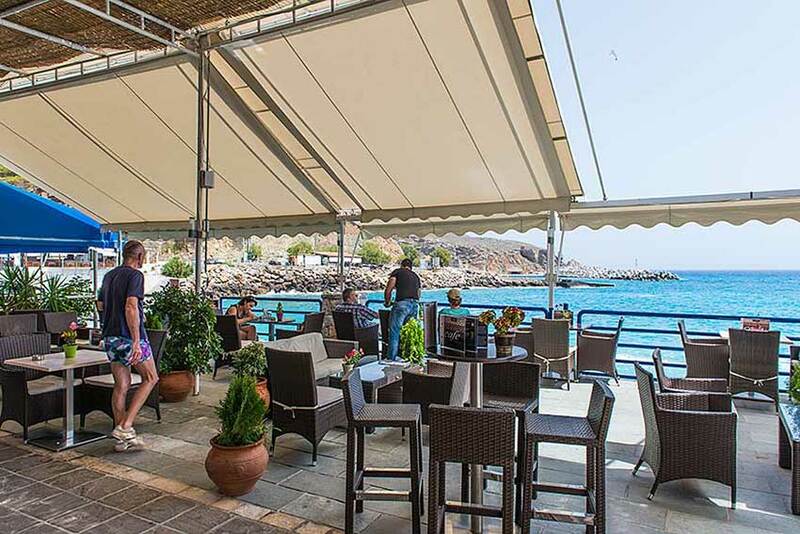 Hotel Alkyon offers a outdoor café on the sea front of Chora Sfakion, as well as a seaside terrace at the first floor, where we serve breakfast and drinks. Please click the < and > below to see more photos of our accommodations. Located directly at the harbour front in Chora Sfakion, southwest coast of Crete island, Hotel Alkyon offers rooms, studios, and apartments with balcony, kitchenette, air conditioning and splendid sea view. The hotel has its accommodations on the first and second floor, offering a quiet and peaceful atmosphere.